Looking for an insurance quote for your recovery company? Don’t get just 1 quote, get 3! If you are a recovery operator or you own a vehicle recovery business, you need a good insurance company to stay safe and street-legal. The only surefire way to get a solid insurance company is to shop around. 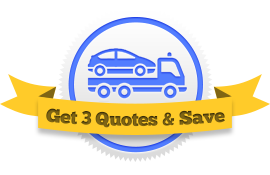 We get you in touch with three, independent recovery insurance agents who will each offer you a unique quote. Here we’ve outlined what you should look for when comparing these insurance companies. It’s important that your insurance company knows the ins and outs of these coverages—what legal limits you need, what requirements are unique to your state, and what coverages you business might be exempt from. That’s why it’s so crucial to speak with agents familiar with the vehicle recovery industry. There are certain things that you want out of your insurance company besides just the minimum coverages. You want them to treat you well. Ask your agent what policy features the prospective company offers. Combined Deductible – If you or one of your drivers is in an accident and multiple coverages are needed, a combined deductible prevents you from paying seperate deductibles for each coverage. Tailored Payment Options – Every business is unique. A solid insurance policy allows you to choose how offen you pay your bills: month-to-month or year-to-year. Uninsured Motorist Protection – This policy feature protects you if you or one of your drivers is involved in an accident with someone who doesn’t have liability insurance. Pays For OEM Repairs – If one of your trucks needs repairs done, this feature pays for the best parts possible instead of shoddy replacement parts. No Cancelation Fees – If for some reason you need to cancel your policy, you don’t want a clause hidden someone in your contract obliging you to pay a cancelation fee. The insurance companies for recovery businesses, unlike those for personal auto or even conventional commercial insurance, are usually smaller local insurance providers instead of big-name companies. It’s important that you do your research to determine whether you can trust the company or not. A good way to do that is to visit an insurance auditing site like Moody’s or A.M. Best. Of course you want to get the cheapest price possible. Your rate is determined by different aspects of your business. What you Tow – E.g., only vehicles, vehicles and motor homes, heavy equipment, etc. Different recovery insurance companies weigh these factors differently. The best way you can ensure you get the cheapest price is to compare multiple companies at once. Fill out our simple Request a Quote form and we’ll get you in touch with three different recovery insurance agents who will compete for your business. It’s easy to get started.